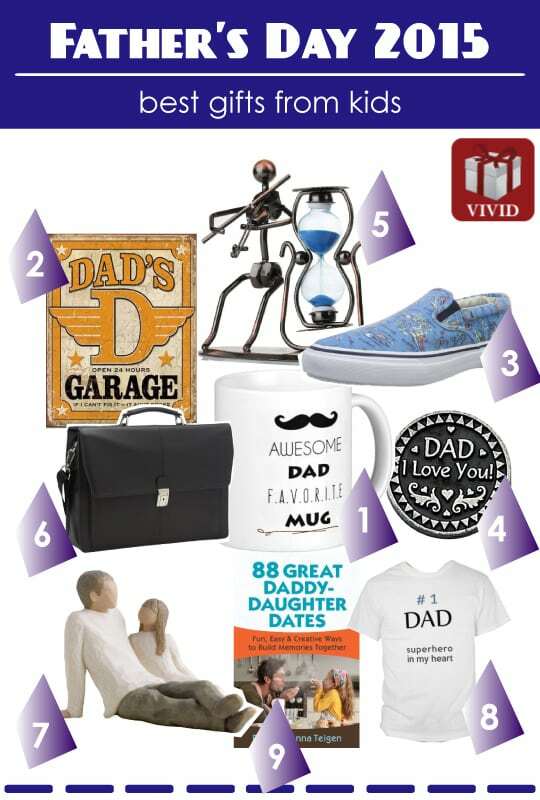 Today’s article focuses on Father’s Day gifts from kids. We have come together with a list of 9 great ideas to wish dad a happy 2015 Father’s Day, from kids with lots of love. Scroll down to discover these nice and affordable presents. Let’s start the list with this handsome mug for dad. Minimalist design; black and white with a cute mustache. This mug is made from ceramic. It has big capacity. Nice size for morning coffee or tea. 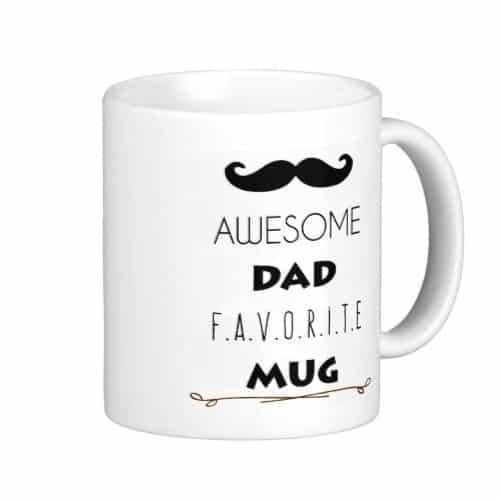 Gonna to be your daddy’s new favorite mug! Perfect wall decoration to hang in his garage. 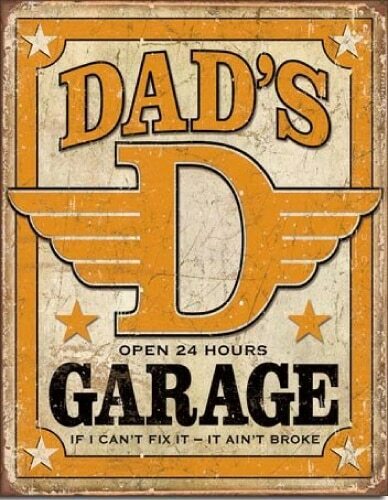 This is another tin sign that dad will love. 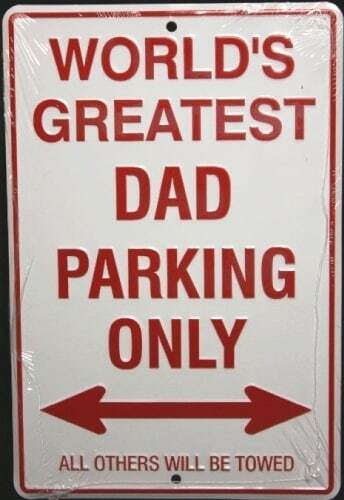 A parking sign for the world’s greatest dad. Price under $10. It makes a great small gift for dad. This Father’s Day, children can also get a pair of nice shoes for their dad. 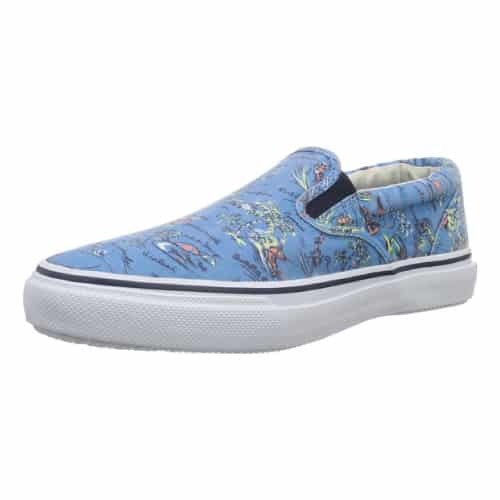 We recommend this pair of easy slip-on loafer by Sperry Top-Sider. Made from durable canvas with colorful print of beach, sea, palms and surfer. Features padded collar, gored insets at entry, and cushioned footbed. It looks stylish and feels comfortable to wear. Perfect for summer 2015! 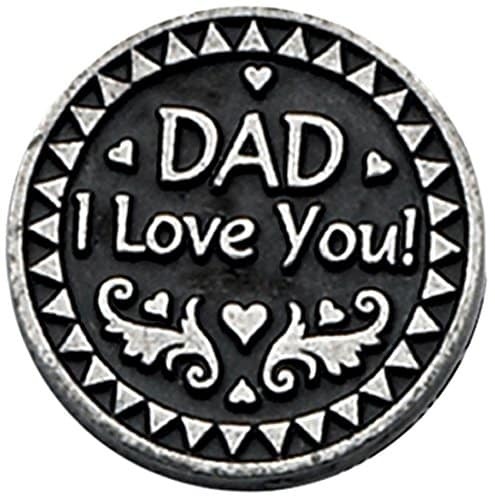 Makes one of the best Fathers Day gifts from kids under $10. Unique Father’s Day gift. 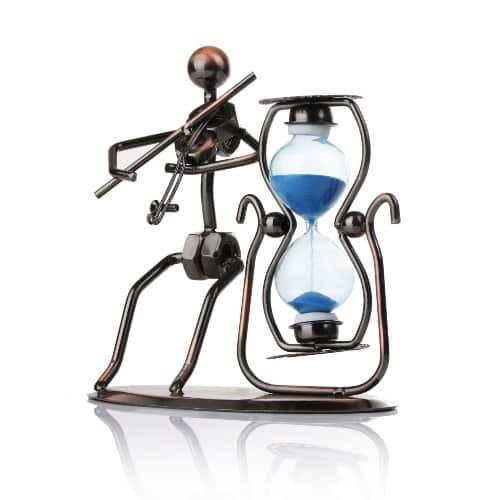 A charming piece of bronze statue that looks extremely interesting on office desk. A musician playing violin by the side of a blue sand hourglass. Pretty colors, 100% hand soldering from recycle metal. It is a wonderful office decoration to liven up dad’s working space. Luxury leather goods is another decent choice. Dad will definitely appreciate this briefcase made from quality genuine leather. Single gusset flapover design with multiple pockets for his business accessories. 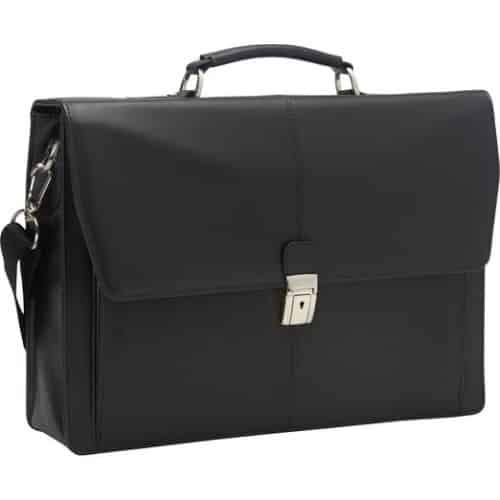 This briefcase looks sleek and professional. It is lightweight and roomy. It can hold laptop, paperwork and other business essentials. 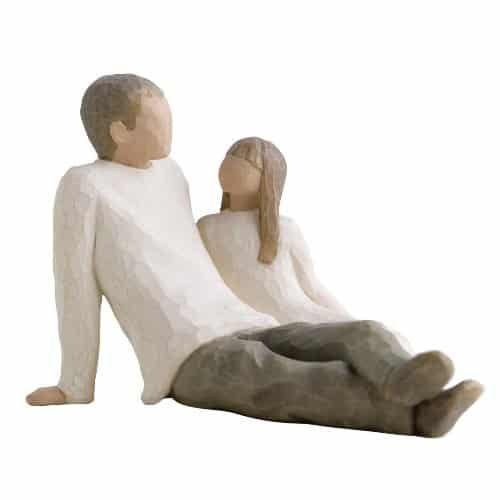 These lovely figurines by Willow Tree are one of the best Fathers Day gifts from kids. Beautifully handcrafted with fine details and painted in soothing colors. 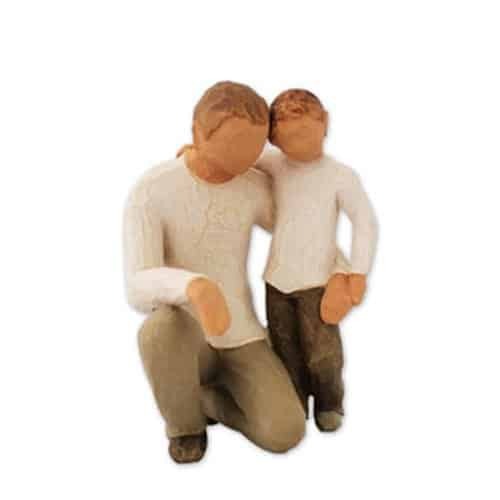 They are perfect to celebrate the bond of love between a father with his kids. Ever feel that your dad is like a superhero? Get him this awesome shirt to make him feel proud. 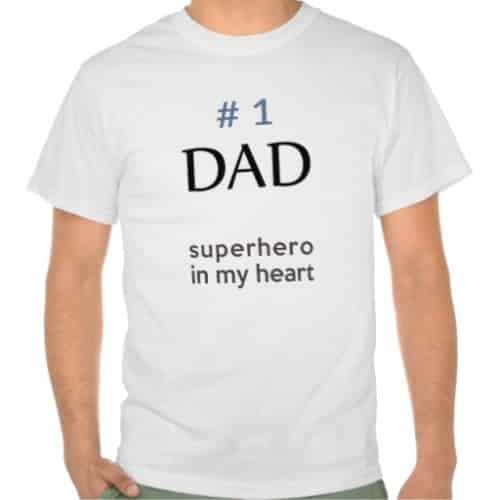 Printed with bold statement that suits best for your Superdad. Amazing Father’s Day gift from daughter – A wonderful book with heartfelt message and breathtaking pictures. Show daddy your appreciation for his care and love. Sentimental and touching. 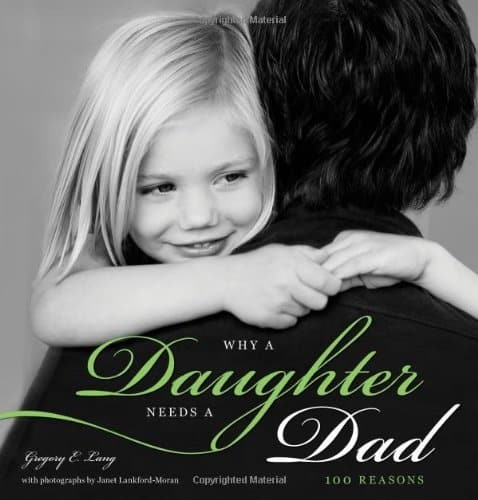 The last item in our list is this resourceful book for better bonding between father and daughter. 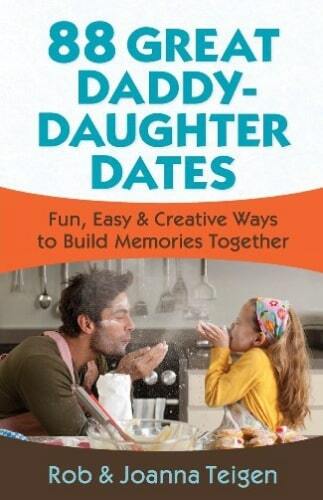 Well-written with affordable, exciting and creative ideas for daddy to have more great times with his beloved daughters. Create fun memories, make dad a happy dad. That’s the 9 Unique Fathers Day Gifts from Kids. We wish all daddys in the world a Happy Father’s Day. Thanks for reading!